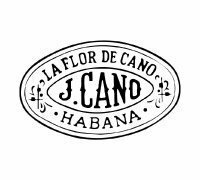 La Flor de Cano was founded in 1884 by Tomás and José Cano. This brand is relatively hard to find due to it’s low production quantity, made in the Rey del Mundo factory. With a medium ranged price, these cigars stand out by their equilibrium between taste and aroma. The cigars from this brand come exclusively from hand rolled habanos, with tobacco from Vuelta Abajo and Semi Vuelta.